Anger Management Through creative art therapy is a subtle, safe and effective form of treatment for Anger. In this program, participants will be guided through various themes that are anger-centric. Art therapy is used to engage the creative self for self reflection, awareness and cognitive level of resolving angers. Anger management is a life skill necessary to regulate your angers before they are out of control and may become destructive or harmful to others and yourself. It is hence significant for anyone to pick up this skill and be prepared when angers surface in the daily life or work life. "Be safe, not sorry." This is the core objective of this Anger Managemet through Creative Art Therapy. According to Dr. Marian Liebmann "...clients of all ages will benefit from the art-making process, which helps them to slow down and consider their emotions more calmly. The tangible product of their efforts allow clients to access and react to what they have depicted, providing a lucid and safe framework for better understanding of the causes and effects of their anger." In addition, art is a safe space for expressing angers and one of the most effective therapy resolving angers within a person. Indeed, Art Therapy is a highly recommended therapy for Anger Management. For individuals or group who is interested in managing their angers effectively and permanently. To explore the different types and causes of Anger. To understand what are positive and negative impact of Anger. Learn what is Art therapy and how art can be used to manage Anger and resolve them. Learn the Anger coping skills. Hands on with art therapy to express yourself and focus on Anger issues. Package fee is $218/= per month (up to 4 sessions, 1.5 hours per session). 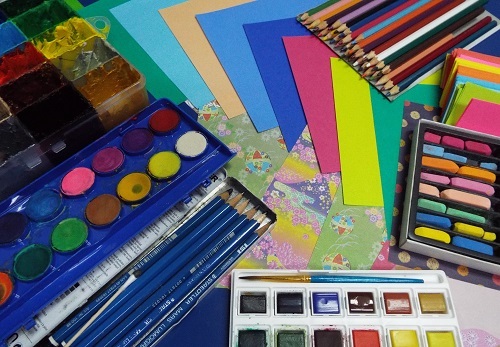 Please bring your own art materials or purchase them at our center. Drop-in session is $80 for trial or assessment. Full day workshop from 10am to 5pm at $218 is available on request. Please contact us for Workshop or Event at your site. Anger Art Therapy treatment will involves several and a wide range of art medium such as pencil, pastels, charcoal, clay, paint, mural, graffiti, calligraphy, brush painting, finger painting, tempera, acrylic, poster, water colour, colour pencils, markers, collages, colourful paper, etc. The art therapist has vast experience in using the appropriate medium for the most effective treatment plan depending on participants needs and readiness. The treatment medium being recommended will take into consideration for the safetly, availability, appropriateness, space and resources. For Art Therapy Treatment to be successful, below are some essential requirements: A willingness to engage into art making. A commitment to complete a treatment plan until recovery. A full support from family, relatives, peers, friends or institutions. By default, our Art Therapy sessions are strictly confidential unless otherwise they might be harmful or post a danger to self, group, any person or the public. Written consent must be obtained to release any of the art therapy works or information. 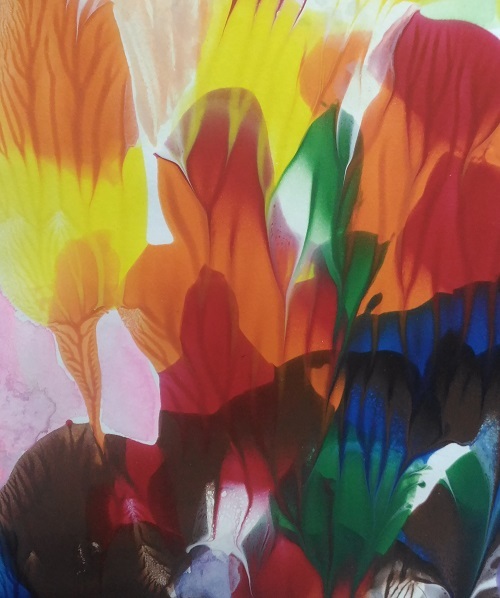 Art therapist will treat all discussion and art works as personal and private for treatment purpose only. Our treatment is through use of creativity and art to gain good understanding of the cause of the issues. Participants are to engage and enjoy themselves during guided or free art activities. The art therapist will assist and support the participants appropriately. The art therapist will provide appropriate intervention to treat the underlying issues. Verbal communication is secondary to this creative art therapy treatment. It is more effective when treated without verbal (talking) because of authentic self can be ready for long term treatment. Outcome of the therapy can be immediate or subtle after session when participants feel better or change for better. For children, outcome can be evidenced by their family members or school teachers. Once treatment is successful, participants will move on to their lives or they can join our Regular Art Classes. Our Art Therapy treatment is by our qualified, trained and experienced art therapist. Art Therapy treatment and program are facilitated by Mastered level Art Therapist, Artist and Consultant - Mr. Lee Thiam Seng. Mr. Lee (Paul) is the founder of UniqArts and Technologies in 1995. Mr. Lee holds a Master in Arts in Art Therapy from LaSalle College of the Arts and a Bachelor Degree in Management from Royal Melbourne Institute of Technology (RMIT), Australia.